Apr 13 Aqua Planet: Get the Ultimate Water Park Experience in Clark! Ready for an Aqua Planet adventure? Buy your admission tickets here. Aqua Planet is a modern water theme park in the Philippines located just two hours away from Manila. 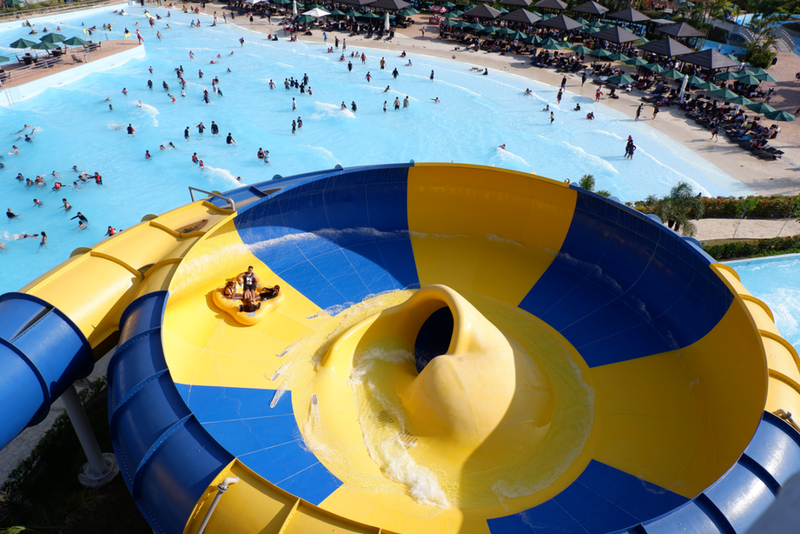 It offers over thirty-eight (38) water slides for family and friends to enjoy. Skip the lines by purchasing your Aqua Planet admission tickets here. This water theme park in Clark, Pampanga is open daily from 9am-5pm. P2P premium bus schedule for Trinoma (North EDSA) to Aqua Planet is provided below. Looking to cool down and have an eventful weekend with friends or family? Consider visiting Aqua Planet in Clark Freeport Zone, Pampanga. 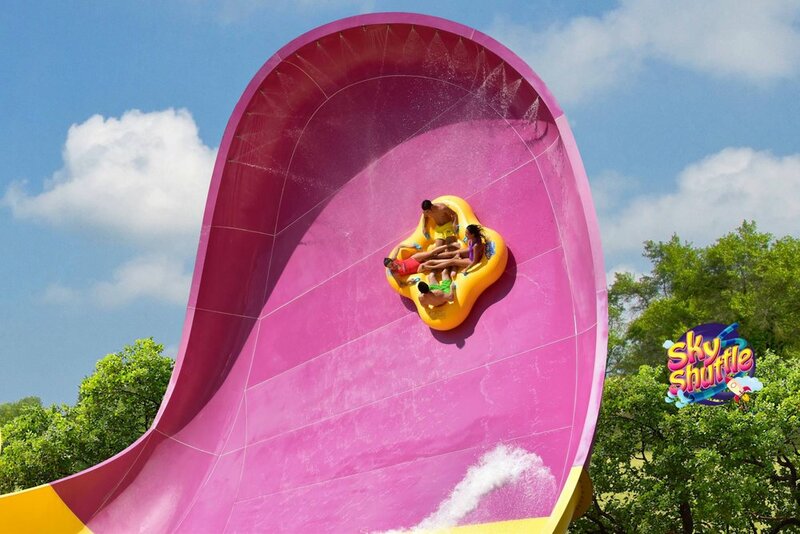 This modern theme park in the Philippines has over 38 water slides designed for a splashing adventure. They also have 8 shopping and dining outlets on-site, which means you can definitely spend the whole day in this attraction. The Aqua Loop may just be the most extreme slide there is! If you dare attempt this ride, expect to stand (yes, stand!) in a launch pad that will flap open and get you into a 100m free fall to enter the 360° loop (and, yes, 360°!) . At the Sky Shuttle slide in Aqua Planet Clark, you and three other friends will be blasted upwards for a steep sliding experience. Expect to feel weightless as you slither back down. Ever wanted to surf in La Union or Baler but too scared to try? Just head on over to Aqua Planet Pampanga’s Flow Rider area where waves are simulated for your safe surfing trial! 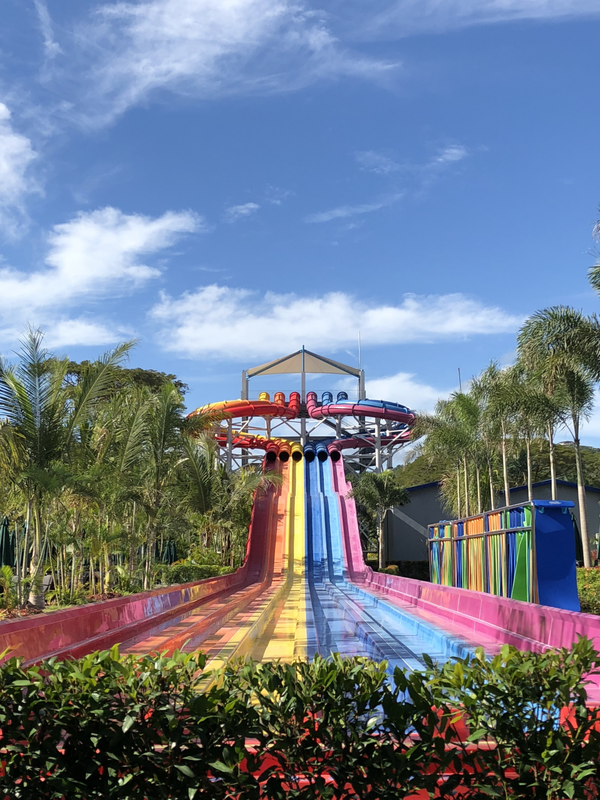 The Hurricane facility in Aqua Planet offers a next-level sliding experience characterized by lots of twists, turns, and bends. Dare to take the challenge? Here’s the deal. Expect a sudden 45° drop that will get you in the Tornado-like funnel that’s full of twists. If you hear screaming as you approach this slide, heed it as a fair warning. Not an adrenaline junkie? Go to Aqua Planet Clark’s Wave River where you can just cruise through a 412-meter current, which is a nice way to get a sweeping view of this water theme park in the Philippines. Inclusive of one-day admission to Aqua Planet in Clark, Pampanga and unlimited access to all attractions. If you’re from Manila, you can conveniently go from North EDSA or Trinoma Mall to Aqua Planet (and back!) through the premium express direct bus offered by Genesis Transport Service. One-way bus ticket is priced at ₱310 (around ₩7,000 or $6). 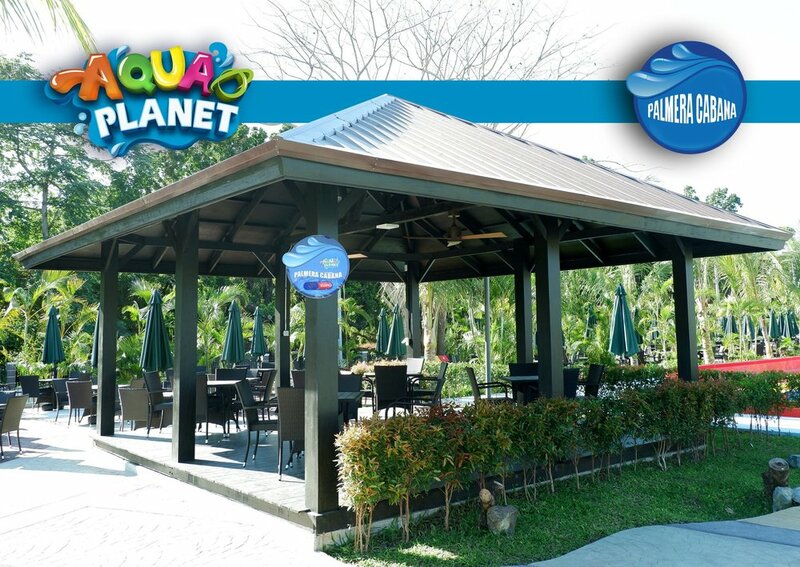 Cabanas for up to 25 people are available for rent at Aqua Planet Philippines. For this they charge ₱5,000 (around ₩110,000 or $97). Lockers in Aqua Planet are accessed by RFID wristbands. This means that you will not have to worry about losing your key as you splash and swim. Restaurants that serve burgers, pizza, and more are available inside this water theme park in the Philippines. Shops that sell souvenirs and swimming essentials (should you forget yours!) are also available in Aqua Planet Clark. Aqua Planet has their mascots, which they call legends. They are Captain Aqua, Mermaid Princess, Orc, King Penguin, and the Bubblies. Do say hello if you see them. Aqua Planet’s brand values are safety, fun, and quality. Outside food, tobacco products, and e-cigarettes are prohibited inside the park. To get the latest updates and promo offers from Aqua Planet, visit their website and their Facebook page. For more travel and lifestyle features on South Korea and the Philippines, do like ManilaxSeoul on Facebook!